Being a stay at home mom is a tough job. It isn’t without its sacrifices and one major one for most families is the sacrifice of income. Many families look for ways for moms to work at home to reduce some of the financial pressure. My family has done just that. In the 21 years I have been a stay at home mom I have worked various jobs out of our home to help our family’s finances. 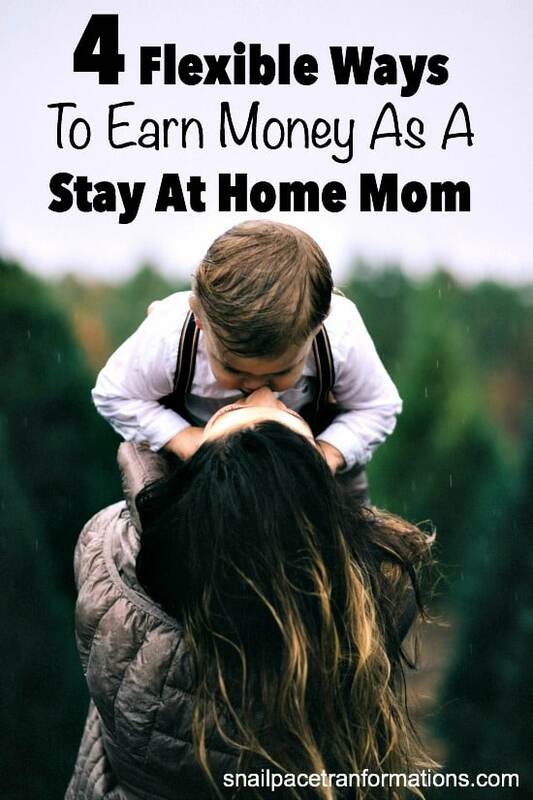 One thing that has remained consistent about my income sources as a stay at home mom though is that they have all been extremely flexible so that I could truly put family above job. I personally have experience with 3 of the 4 ideas below. 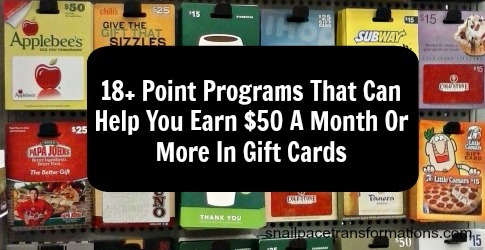 While my children were babies and toddlers I earned $50 a month with idea number one. When my children were preschoolers I earned enough to pay for swimming and soccer for my children with idea number two. When my children became teenagers I started my blog (idea #4) and after many years of working at it whenever I can I now earn a full-time income. You can see that as my stage of motherhood changed so did my choice of income generation. The main reason for this is the time I have available to devote to paid work has grown as my children have grown. In each stage I picked the side job that suited the time windows I had for working best. I am constantly testing out companies and sharing the best ones with you! 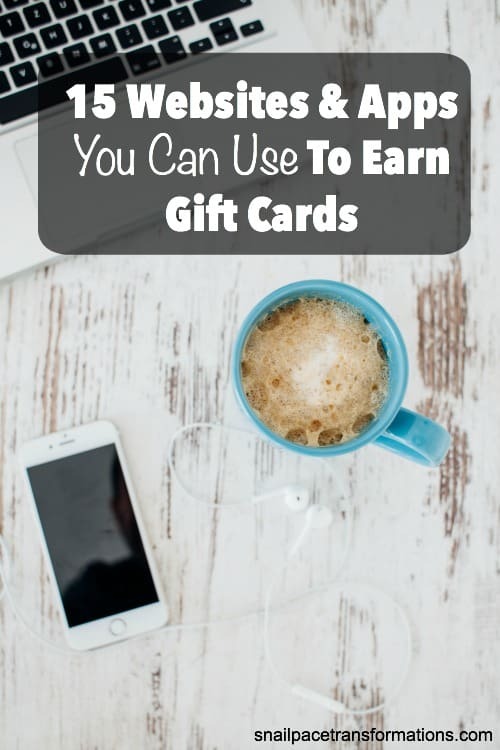 You won’t get rich filling out surveys, watching videos for points, or taking time to load receipts into cash back apps, but you can earn enough each month to be able to afford a much needed date night, or money to fuel your favorite hobby. The best thing about taking the time to mess with these companies is that the work is so flexible. About to wash the dishes? prop your smartphone up on the window sill in front of the sink and get those videos running to earn points as you clean up. Watching TV? Answer survey questions in the commercials. Going shopping? Upload your receipts to apps that will give you points in return when you are done. As I said above, when I did this I earned an average of $50 a month, but with all the new programs out there since I was a new mom I think it is possible to earn $100 a month with a bit of strategy. Do you love yard sale shopping? Thrift store shopping? If you do, reselling your finds might just become a great side income for your family. Start first with what you have and no longer need. This will give you a feel for what things are really worth and where your talent lies. Some people are great at selling toys while others do better selling clothing. Reinvest the money you make selling your own stuff into buying things up at yard sales or thrift store specifically to resell. How much you make is really dependent on what you can find to resell as well as how much time you can devote to reselling items. 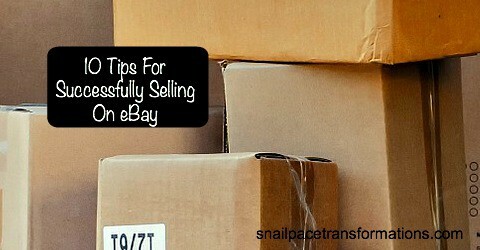 Visit my reselling page for tips to help get you started. If you have a creative streak, there are people out there that might just pay for your creations. Before you begin do a bit of research into the market for your item as well as where to best sell it. Start with just a small amount of inventory to test the waters and then build up. 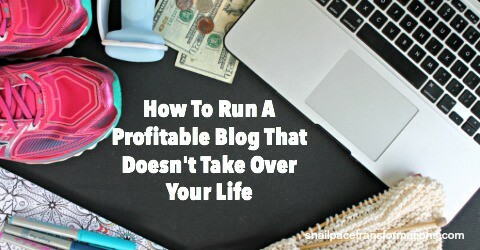 Regardless of what you might have read around the internet, blogging is not an instant income earner. Sure there are some who go from pennies an hour to full time income in just 12 months, but they are the exception. However, if you can devote 15 to 20 hours a week to building a blog, over time you can go from pennies an hour to part-time income to full-time income. I know because I have done it. Now, “full-time” income is of course a pretty general term. Your idea of what that is might differ than mine. For me it means earning at least the same as a minimum wage earner in my State earns for a 40 hour work week. What I love about blogging is that I earn that full time income in less than 40 hours a week and I can work around my son’s soccer games, my daughter’s various activities, and if my husband should get a surprise day off I can take the day off too. That makes blogging 100% worth the hours and hours I poured into it for pennies an hour when I started. It is as easy as 1, 2, 3, 4! Pick a domain name (blog name) and register it: I personally use Go Daddy. 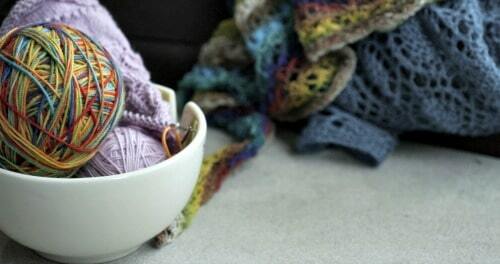 This is so simple and inexpensive to do. Go Daddy often runs sales where you can register your domain name (blog name) for as little as .99 cents. These 4 ideas are just that–ideas. They are meant to inspire you to start thinking about what might work for your current motherhood season, your family and your talents and passions. Take some time to brainstorm what might work for you and then dive in and start working at it. You won’t know what will work until you try. These are great ideas! I wanted to add that selling your skills on a site like Fiverr could be an easy and flexible way for SAHM to earn a little on the side, too. Thanks for your info!! Yes that is another great idea.